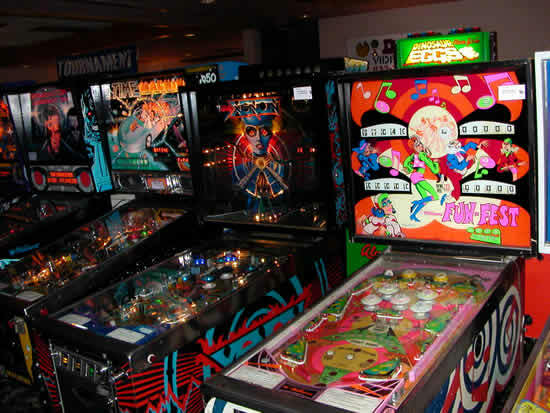 Pinball News reader Richard Wade brings us this report. 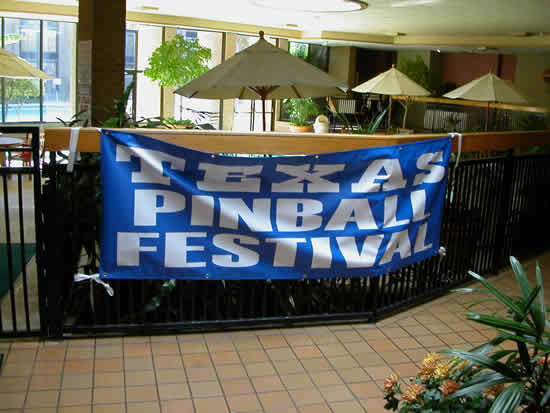 My vacation to Texas ended with the Texas Pinball Festival which was just as impressive & friendly as my experiences elsewhere in this awe-inspiring & massive state. The specially priced hotel deal was just as promised & even though I missed Friday, a pro-rata instant discount on the gate from $30 to $20 for the weekend pass seemed more than fair. After paying up, being given my wrist pass and confirming seminar details with the knowledgeable receptionists it was time to play some serious silver ball. Below are details of the layout of the play area along with the appropriate location of all machines when I took my audit. I was seriously impressed with the wide variety, cosmetic condition & more importantly the mechanical condition & thus playability of nearly all the machines I played. Personal favourites included the No Good Gofers in Bank 5, Attack From Mars, Tales of the Arabian Nights, Sorcerer, Safe Cracker, Centaur & Skateball. The condition of Xenon, Skateball & Centaur was awesome. I had never imagined I would ever see, let alone play such amazing examples. 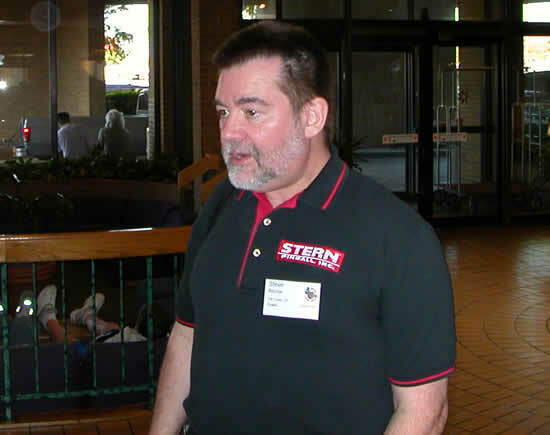 The seminar given by Steve Ritchie was most rewarding, especially regarding the insights into the pinball industry past and present, but the icing on the cake for me was the story about the design of High Speed being based on his personal high speed car driving, resultant police chase and arrest. This segment of the seminar added a sense of humour which everybody instantly related to and thoroughly enjoyed. Grieg Riddle then gave a talk on collectable items which are created as a by-product of the pinball design and development stages. Details and examples were given in many different areas (e.g. playfields, cabinet designs, ramps, sculptures & original artwork). This subject would normally have bored me, but the amazing collection of genuine artwork, playfields & sculpture really brought the subject alive. 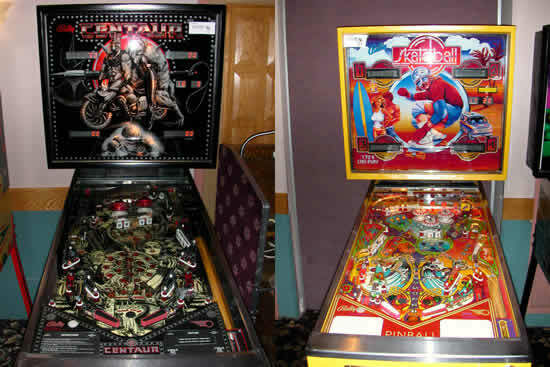 Chris Munson also gave a seminar, this time on the restoration of older pinball machines. This subject was comprehensively covered in regards to the external cabinet (e.g. paint work, legs and coin door). Real props were used to bring the subject to life and the comprehensive coverage was clearly appreciated by all. The detailed level of feedback from the audience in regards to their experiences to the subject also added to the knowledge gained by all. 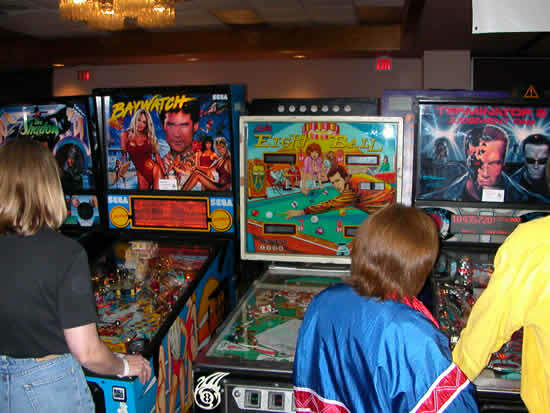 By the end of the weekend my thirst for pinball had been quenched - hard to believe that it could not have been, given the impressive collection of pins, knowledgeable staff, fellow collectors, exhibit owners, competitions, prizes, tournaments, seminars, air conditioned hotel etc.